From Common Ground to Common Denominators to Common Sense. There’s just something Comforting about being Common. 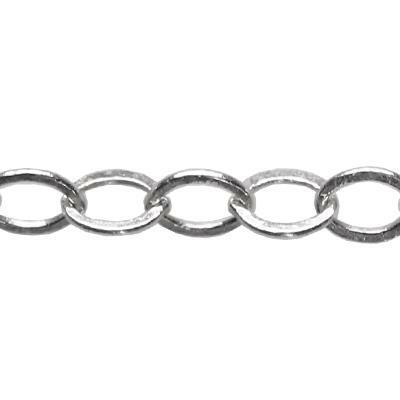 Our 21020FL16 – 16-Inch Finished 1.4mm Flat Cable Chain Necklace. Cable Chain is one of the most Common and most widely used chains in the Jewelry Industry. It is formed of individual links that are interlocked into a uniform pattern, with each link lying at ninety degrees neatly next to the link beside it. Flat Cable Chain has been processed to flatten the curved surface of each link to create a shiny, larger surface area that catches and reflects the light. These are beautifully finished with a Lobster Claw instead of a Spring Ring. Create an Individual look by adding a hand stamped or engraved Sterling Silver Blank.